While packing my room. I came across this set of A3 size magazines in my box. Actually, I always know it's existence as I can see them through the box. Now, it's the time to take them out to let them have some fresh air and sunshine. 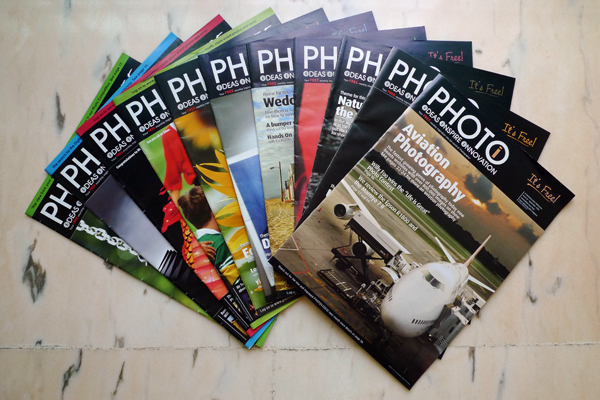 It's actually the free editions of the PhotoVideoi magazine. I still can remember every month, I would take a walk down to my one and only photo developing shop just to get a copy of this free magazine. Though I do not have every copy of this free magazine, looking at them now still bring up the time where the free magazine was issued. As the president of the tampines junior collage photographic society at that time, I actually wrote in to have the magazine delivered to collage so that other students who are interested can have a copy.